Firefighters and first responders up and down the state are still battling wildfires. It's starting to take a toll. Firefighters battle flames from the Woolsey fire on Nov. 10 at the Salvation Army Camp in Malibu. 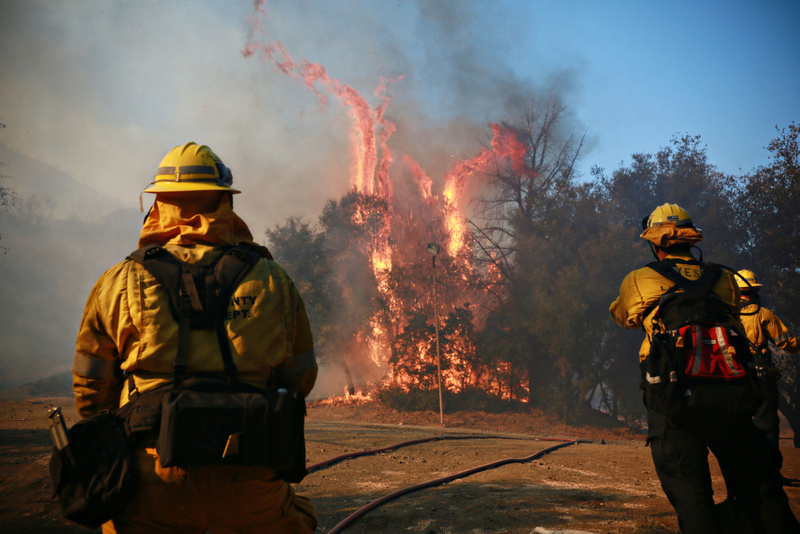 With California's fire season now year-round and more destructive, overworked firefighters are under even more stress than ever. Fire officials are recognizing stress may affect crews in the midst of the job, so they set up a peer-support trailer in the middle of the base camp for firefighters battling the Woolsey fire. Fire chaplains and fellow firefighters are available to talk to anyone who feels the need.